Bala ( A Balasubramaniam) is a product designer based in India. He belongs to a generation of early graduates of NID, Ahmedabad, a premium design institute in India. He works with businesses and industries in the cusp of design and innovation. He believes in design thinking and applies it to his work across different domains like products and systems design for industry, crafts and hand-made product design, packaging and communication design and social design. He has also been involved in design education and practice. 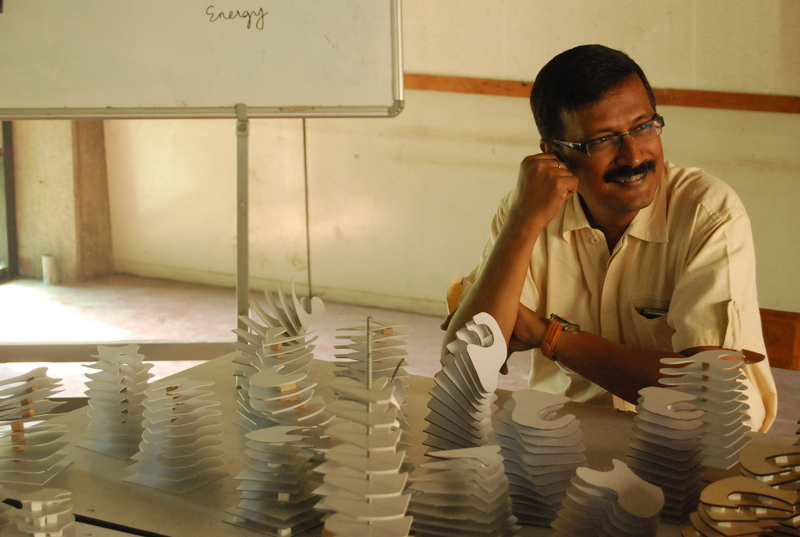 He often gets invited to be a jury member, evaluating design projects and curriculum with NID, NIFT, SPA, IILM, IICD, CDI and with other premier design institutes in India. He has been a regular contributor to the print and social media. A lot of young designers would want to work on the same parallels as you have mentioned here (like me!) but a lot of times the do not find the opportunities to contribute! and have to be a part of the regular commercial work profiles and get deeply engrossed in their careers, forgetting the basic principles of design and its relevance to the society and environment it exists. Happy to hear your thoughts on the subject. Glad to know that there are people who empathise with these thoughts. It is not easy, I agree, especially if people are caught up in making a living. BUt everyone should contribute to the cause of design. my name is Jacopo and I am from Desall.com an open innovation design platform based in Italy. I am interested in promoting a design contest exclusively to the Indian public of product designers. Is there any way to discuss further a collaboration proposal over e-mail? I am an NID aspirant who is currently in class 12th. With the NID exam fast approaching i would really like to get some advice and suggestions from a learned person like you. I would really like to get in touch with you via e-mail if that’s okay. Thanks, Dinesh. That’s very flattering. Which course do you do at NID? I am presently visiting NID Ahmedabad and can catch up, if you’re on campus.